Who hasn't accidentally hit "send" on an email before giving it a final once-over, or posted something to social media that we wish we hadn't? The good news is, for most of us, our measly 300 or so followers probably didn't see that post. Even if they did, they wouldn't care, nor would it have detrimental effects on your career. But for social media managers and people who work in PR, an accidental "send" is a nightmare. As are social media campaigns that were ill-advised. Here are some of the most egregious social media fails that could've been avoided if people just logged into the right account, double-checked their links, or had someone in the room to ask, "could there be any possible backlash to this?" 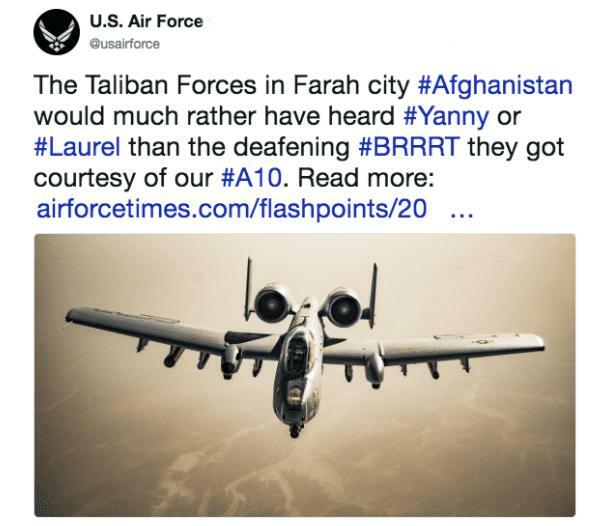 Air Force turns an act of war into a meme. People were understandably upset when the Air Force's official Twitter account sent out this tweet that made light of air strikes. 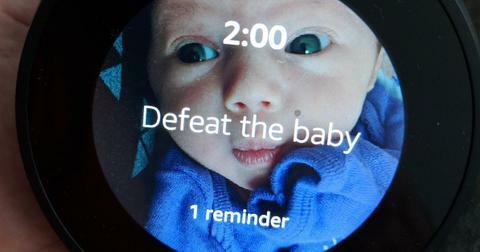 Microsoft's TayTweets artificial intelligence chat robot only needed a few hours of internet scouring to develop its personality. It ended up becoming a racist, hate-mongering, homophobic Twitter account with a penchant for conspiracy theories. No love for the motor city. A Chrysler employee accidentally tweeted their dislike for the roadways of Detroit from the company's Twitter account instead of his own. Not a good look for an auto manufacturer. 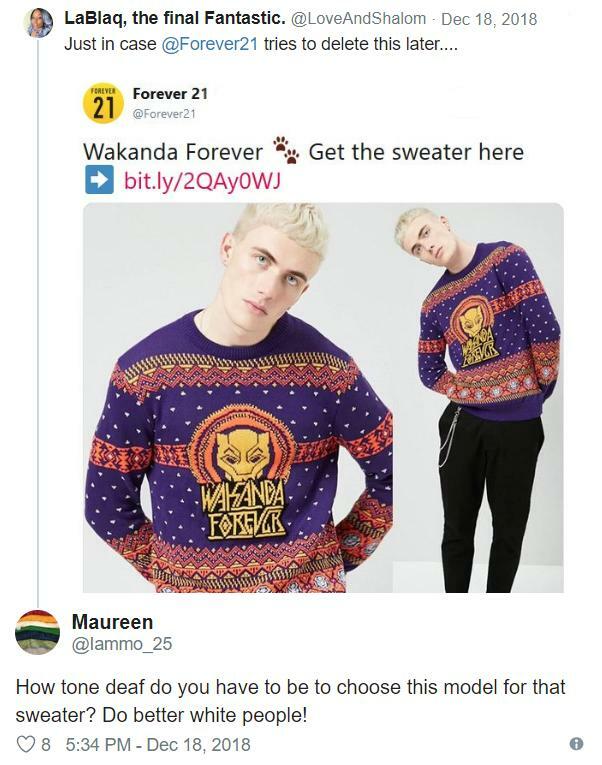 Forever 21 released this awesome "Wakanda Forever" ugly Christmas Sweater. But people noticed that the Black Panther phrased-shirt was being repped by a white, bleach-blonde model, which caused an uproar online. What are you saying, IHOP. 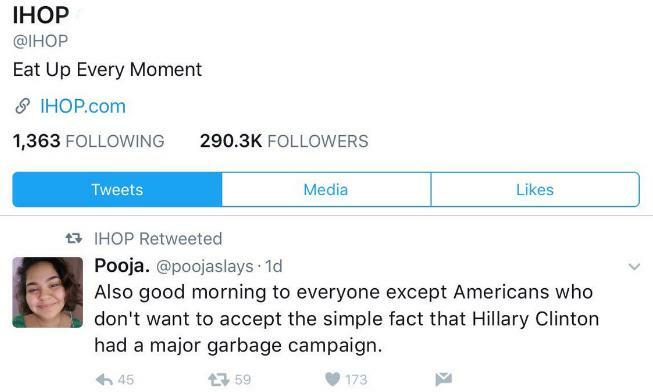 IHOP got into a sticky situation when they retweeted this post-election insult to Hillary Clinton supporters. Russia, not the Soviet Union. 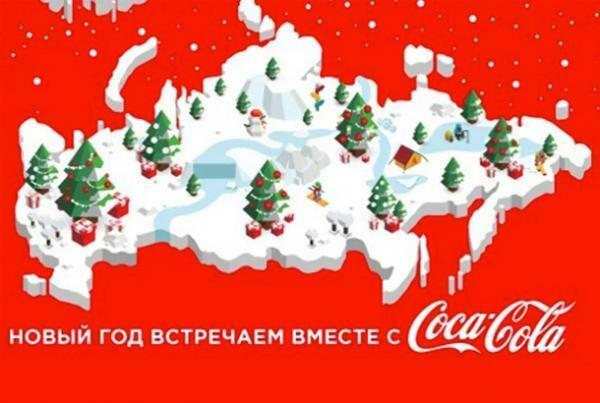 Coca Cola tweeted this map of Russia in 2016 to show how much everyone in the country loves their delicious brown beverage. Trouble is, the map that they used was from before WWII. If you know anything about the history of land and territory acquisition in the region, then you can imagine the poop storm that came down as a result. America's favorite fast food chain must've had a political vocalist manning the Twitter account that day. They quickly deleted this invective against the President, but not before tons of people screencaptured it and spread it all around the web. The Onion gets too edgy. Calling a child actress a real see-you-next-Tuesday for the sake of making a joke is a risky move, something that The Onion learned the hard way when they tweeted this out. The blowback was so severe that the site's CEO apologized for it. Tinder should've just stayed quiet. 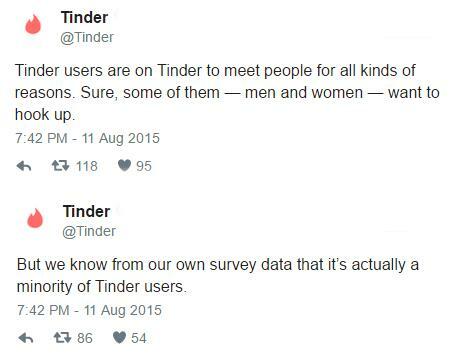 A Vanity Fair article said that Tinder's sole purpose was for helping people hook-up. Tinder responded right away to repair its image. But they handled the whole thing terribly and it ended up bringing more attention the magazine piece they were trying so hard to dispute. A question and answer session from the financial firm was quickly cancelled after cheeky users asked the questions that were on everyone's minds. 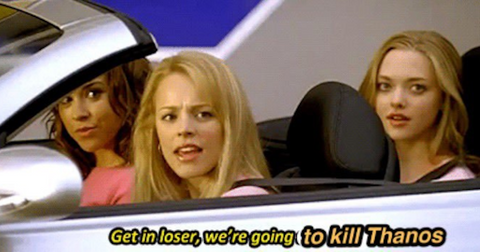 "Blackfish" got people up in arms about SeaWorld. The aquatic-animal themed park tried to spread some positive PR about their facilities after the Blackfish documentary that criticized how they acquired sea animals and essentially enslaved them for human entertainment got people exceptionally woke. It didn't work. 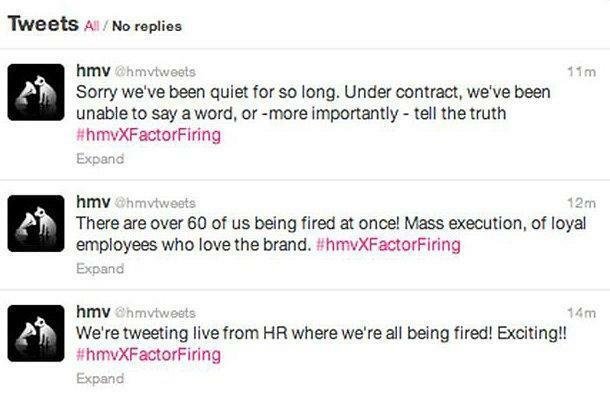 HMV should've changed the social passwords. Hint: if you're planning to lay off 60+ employees who have access to the company's social media accounts, then you should probably change the passwords first. Starbucks tries to get "woke." In an attempt to talk about race relations, Starbucks attempted to get the hashtag #RaceTogether trending. It did, but the discussion ended up being a bad look for the coffee shop giant, with tons of people calling them out for gentrification and general corporate grossness. 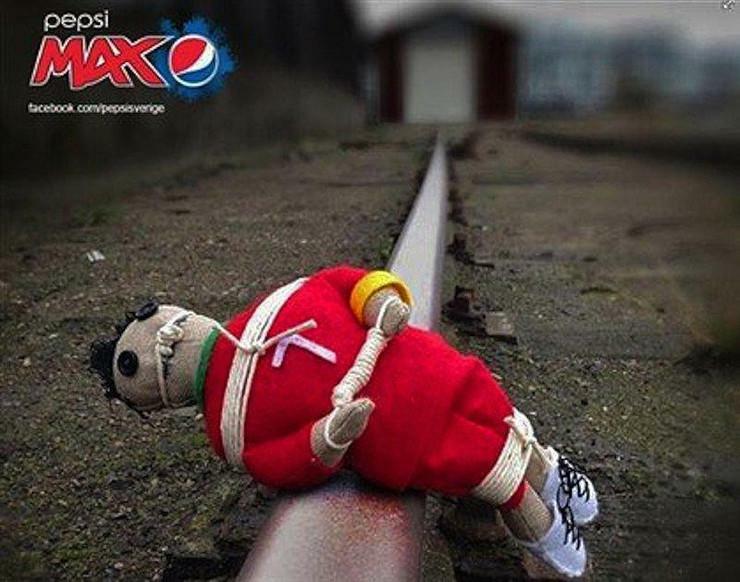 Ronaldo fans were not happy with Pepsi. When you allow a bunch of Cristiano Ronaldo haters to run a social media campaign for your brand, you're going to get some blowback. Which is exactly what happened to Pepsi; tons of disparaging images and tweets of the star resulted in a massive boycott of their products from hurt CR7 fans. 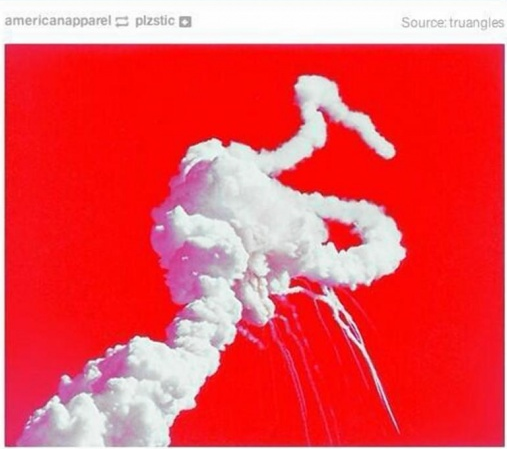 American Apparel tried tweeting a July 4th image to get people in the patriotic spirit. Turns out whoever was in charge of the account wasn't familiar with the aftermath of the 1986 Challenger explosion. An ESPN sports meant to tweet a link to a story. Instead, he tweeted a link to another tab that shouldn't have been open while he was at work. Come on, bro. That's amateur hour. 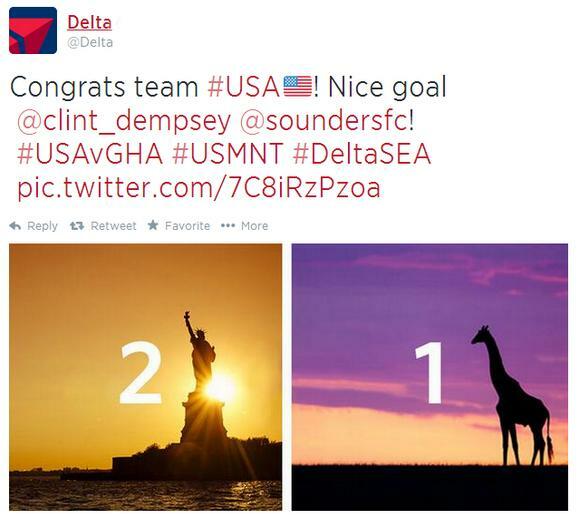 When the USA scored the winning goal against Ghana in the 2014, Delta tweeted out this custom graphic. Problem is, Giraffes aren't endemic to Ghana. Yikes. The Queen is not dead. Long live the Queen. Ahmed Khawaja of the BBC tweeted that Queen Elizabeth has died, but quickly deleted the message after it was reported she was just hospitalized. She says that someone at home had tweeted it from her phone at home to cover up for it, but still received disciplinary action for the flub. 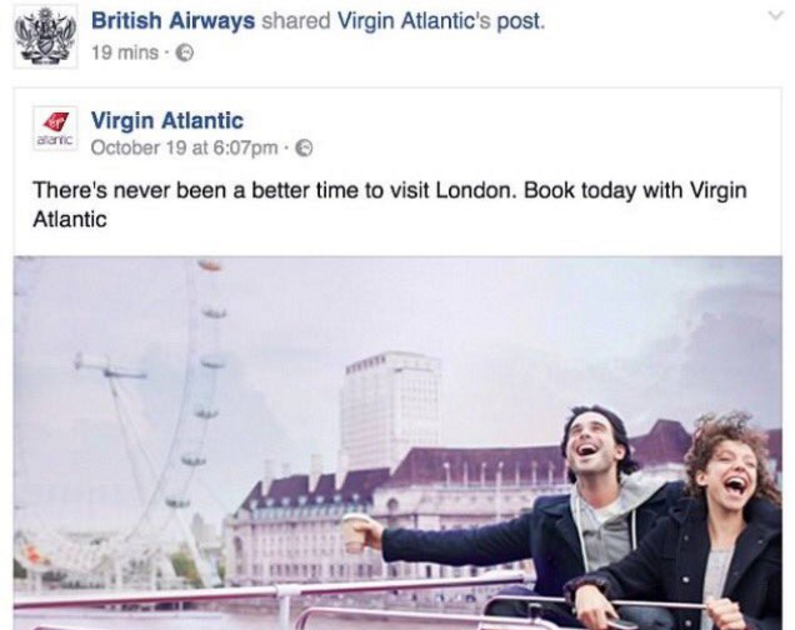 British Airways shared rival airline, Virgin Atlantic's Facebook post. Why? Can't even show the image here, but US Airways tweeted out this super filthy pic featuring a 777 being placed somewhere it probably shouldn't be placed in response to a Twitter user. LG tweets from an iPhone. When the iPhone 6 Plus was released, the phone had a bit of a bend issue. When LG tried to make fun of this design flaw, they bragged about how their phones are supposed to have curved screens. But they tweeted the cheeky comment from an iPhone. Yikes. 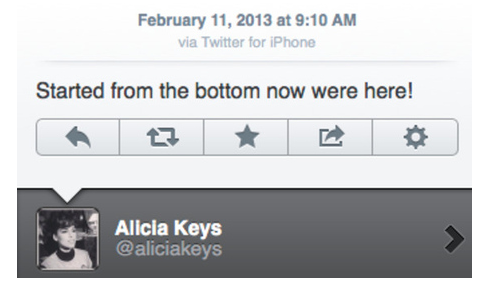 Alicia Keys does the same. 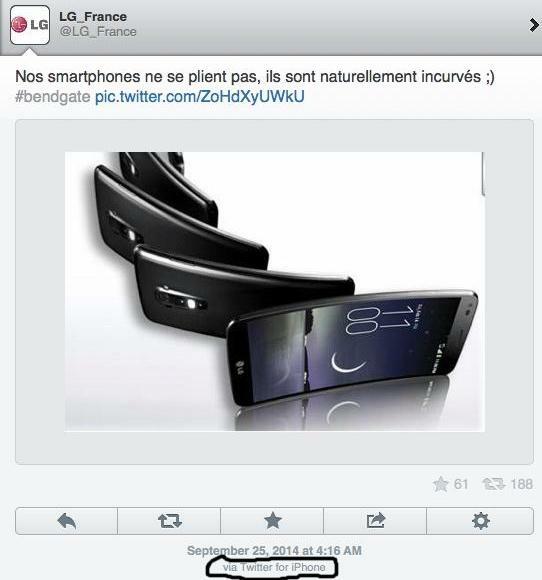 If you're the brand spokesperson for Blackberry, then you probably shouldn't be tweeting from your iPhone, just saying. When Apple removed a bunch of ports from their newest Macbooks, like the SD card slot, people were upset. 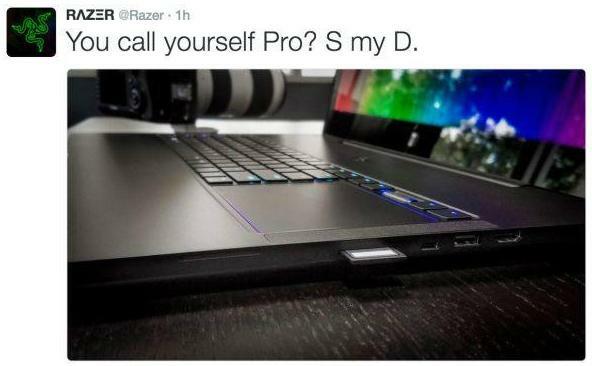 Razer used a raunchy tweet to roast Apple, but ended up angering a lot of people in the process, especially due to a lot of stories in the news cycle about sexism and harassment floating around. Just ill-timed on their part. Twitter's CFO publicly tweets something he shouldn't have. Anthony Noto meant to DM this cryptic message to someone, but ended up sending it out for everyone to see. Looks like whatever strategy he was brewing lost the element of surprise to those "in the know." 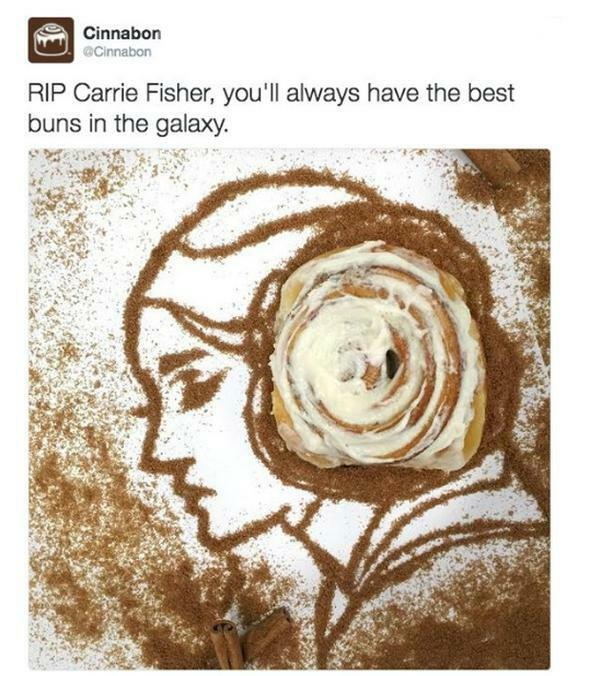 Cinnabon tries to market Carrie Fisher's death. Protip: when a celebrity dies, stay away from obvious attempts at monetizing their death. It's not a good look. Hopping on trending hashtags to gain visibility on Twitter is a good social media strategy. That is, if you are using the right hashtags. Maybe if you're trying to sell cakes, you should stay out of politically charged court cases. The Boston Marathon bombing was a tragic nightmare. 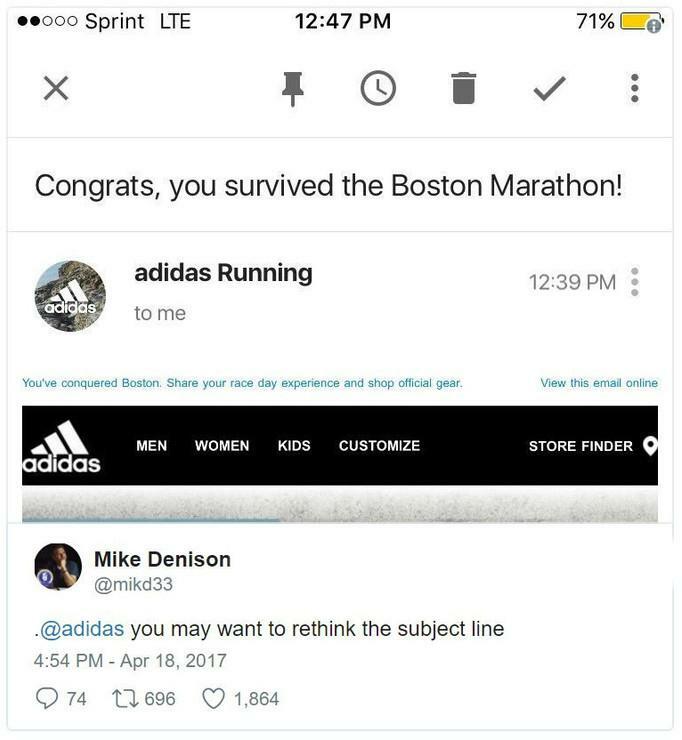 So was Adidas' word choice for automatically congratulating those who finished the race. Yikes. Patriots retweets a racist Twitter handle. It's not as bad as some of the others on this list, but a racist username appeared on the Patriots' official Twitter account due to the settings that didn't filter out hateful words. Once the account reached a million followers, it automatically tweeted out a message thanking the account. Once you see what it is, you'll understand why. Those familiar with the Arab Spring revolutions know how scary, emotional, and tumultuous of a time it was for citizens of the country. Kenneth Cole thought that this tone deaf tweet wouldn't be an issue. They were wrong. 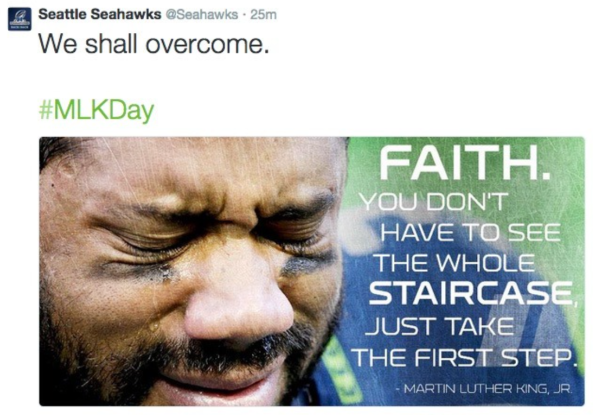 The Seahawks using MLK quotes. Maybe don't equate the struggle of those in the civil rights movement with qualifying for the Super Bowl. Just a thought. American Airlines auto-response bot fails. Auto-responses can result in a lot of eggy faces for companies: like this American Airlines tweet that helped gain visibility to a derogatory tweet about their merger with US Airways. In their defense, it's a pretty hilarious tweet. 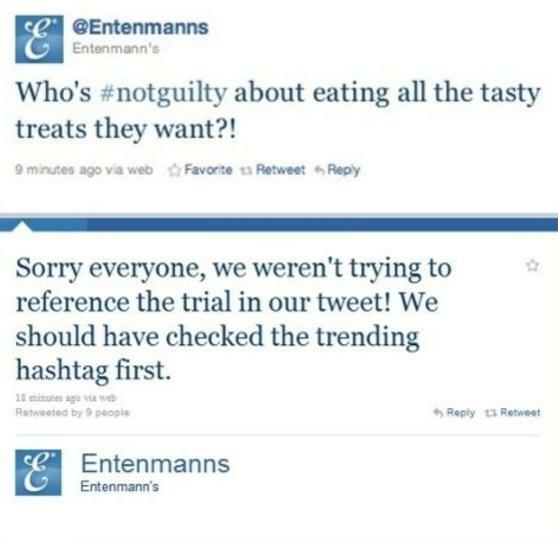 Either they were trying to get fired, or forgot to log back into their personal Twitter account. 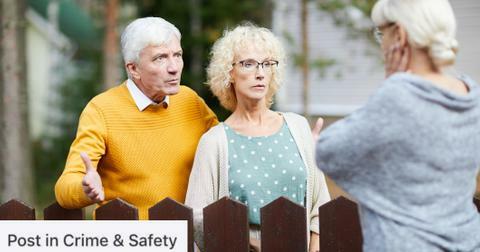 T promote their Hot 'n' Spicy wings, KFC thought it'd be a good idea to post a photo of an attractive man and woman with a box of said chicken, then blur it out to make it look like it was a still from a different kind of advertisement. 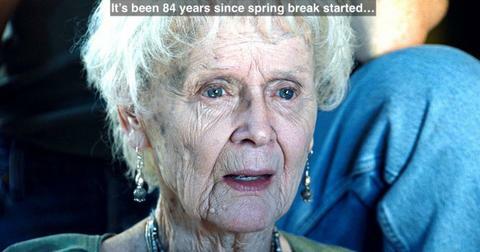 The backlash was swift.